Welcome to “How to start a blog 2018” page, dears. It’s such a page that can turn you into experienced blogger from zero educated about blogging. Just read through once without performing and read twice with performing step by step. All the steps are described in brief here. To know about any specific step or see the entire process step by step in pictures, just click on the link and everything will be appeared before you. Here, we will use WordPress, a well-known platform for blogging. It’s reliable, secure and priceless. Just we have to download it from WordPress.org and install in hosting. You'll be motivated in a huge inspiration if you read about my blogging journey. Here I'm going to tell it in brief. Truly, I've started my blog just for earning my little livelihood. My livelihood is little cause still, I'm a student and I was bound to do it cause there is no earning person in my family. My father had died when I was 3 years old. So, after completing my school I was found a job that will help me to survive my family and continue my study. At last, I started blogging from knowing elder one. Now, I can say you just one sentence to motivate you. I can earn more than my need from my blog. Always mind, a blog is not just a blog, it's a property. You'll be able to earn a huge amount of money per month if you just do what I did. So, keep your attention and move step by step. So, you've decided to start a blog for changing your financial situation. Mind it, a blog can offer you a permanent earning way. You just have to make it properly. Yes! you just have to need five above things to be successful. All the needs you'll get here on my blog. Just move step by step. You have to choose a platform to start a blog. You may be confused about blog and website. Here is the clearance about this matter. There are many blogging platforms. Your recommended blogging platform is WordPress. Here, have a look on others along with WordPress. WordPress has two variants for blogging. WordPress.com and WordPress.org. Both are free but used for different purposes. WordPress.com is used for personal blogging, on the other hand, WordPress.org is used for the professional blogging. As you want to earn money from blogging, you have to choose WordPress.org. Why should you choose WordPress.org platform for blogging, here you'll find more about it. Read more: WordPress.com vs WordPress.org - Which is better? Some wrong ideas are expressed by some people which should be neglected. To give you a proper conception about WordPress I am going to clear all these in below. 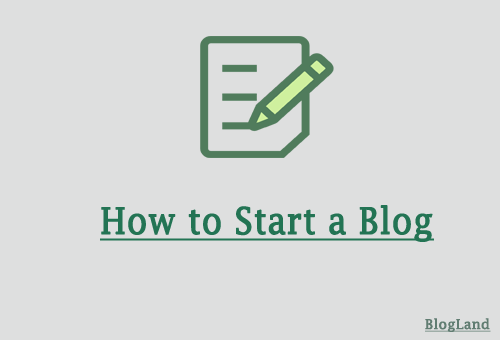 Domain is the first need to start a blog. Domain refers your blog’s name. As you are going to create an advanced blog that will be able to make money in future, you have to buy a custom domain. Your blog domain should be top level ( .com, .org, .net). Your recommended domain extension is .com. Have a look at the below article to choose a good and effective domain that is able to rank your blog instantly. Choose a nice and keyword based domain name to create your blog. Here is the entire process shown in pictures step by step to buy a custom domain. If you buy hosting from HostGator, you don't need to buy domain separately. You'll get a top level domain free with HostGator hosting. Now, you have to purchase hosting to host your blog. Hosting means where you keep your blog’s contents. It may be texts, images, videos etc. Numerous hosting providers are waiting to host your blog. Choose any from these which are reliable for their service. Have a look in most of the reliable providers with offers. My recommendation is HostGator. 1. Click on HostGator and then "Get Started Now". 2. Select your hosting package. Your recommended hosting plan at this time is "Hatchling". But when you wish, you can upgrade it. Then choose your billing cycle, Username and Security Pin. 3. Choose a domain name. If you have a registered domain then click on "I Already Own This Domain" and enter your domain. 4. Check again your plan in the next step. 5. Then select your payment method and enter your details. 6. At the final stage, check the below box and click "Check Out Now" to place the order. Wait for a few minute and check your mailbox. You'll receive an email from HostGato. In this email, you'll be given all the links and information like Log in link, Username and Password. If you want to buy hsoting in BlueHost. Here's all the step. Check it out. Now log in to your HostGator "Control panel" and find "Get Started with WordPress Today". Click on it to install. If you don't find this scroll down your page and find " Quick Install" in the "Softwares and Sevices" section. Here's a entire process of WordPress installation in othe article. Read it. Installation process may take some moments or minutes. So be patient. Once installation is completed, you'll receive an another email containing WordPress dashboard login informations. 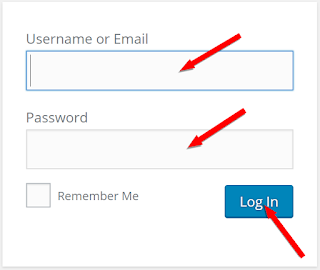 Using these information login to your WordPress dashboard. Buying Domain and hosting task has been completed. Installation process is also been completed. After completed all of this, some essential settings are needed to setup. So do this like in below steps. Completing the above task, choose a theme to make your blog good looking responsive. Here are 5 WordPress themes which are good looking, responsive and search engine optimized. Download any for your blog. After downloading the theme, you have to upload it in your own blog. Here is the overall process step by step. Some plugins are needed to install in your blog at this stage. Plugins are the extensions of a WordPress blog that make the blog more advanced, search engine optimized, good looking, SEO friendly, user-friendly etc. See in below all the steps of installing a WordPress plugin. Necessary plugins that are must install in your WordPress blog in below. After installing the plugins, you have to submit your blog’s sitemap in Google and Bing Webmaster Tools to index your blog in these search engines. Before doing that, click on the below link to know more about sitemap and it’s importance. I’m sure now, you have understood the importance of submitting a sitemap. So do this like the below steps. Above sitemaps are links but not a page. To more optimized your blog in search engines you have to create a sitemap page. To do this, follow these steps. To index this sitemap page manually, you have to perform this task shown in below. Security is a blog is the most important task to get rank in Google. So follow this steps to secure your WordPress blog. Yes! You have done most of the tasks of making an advanced blog. Here you should mind that, content is the king of a blog. Still, you didn’t write a content. So, let’s open the Microsoft Word and start writing a good content on a specific topic what for you have created your blog. Here are some tips to write a catchy and unique title of your blog posts. To work fast on WordPress, you can follow some shortcuts. These shortcuts will help you to maintain your blog easily. Nice writeup which will help new people to get up and get a blog going. A few more in the series could make a nice little tight-knit mini-topic that could rank nicely. Might I suggest something to help new blogs get going. Do your keyword research early. You don't need to change topics, but if you can find less-competitive keywords that you line up with you'll get more traffic due to sitting high in the search engine results pages(SERPs). The best blog in the world without traffic won't hold up. I read over on https://thinkbigreview.com/long-tail-pro-review/ about one of the best tools. Even if you just use it for the first month and get in your research you are off to a great start. And remember to enjoy writing on your blog. Don't write for search engines but keeping them in mind isn't the worst either.